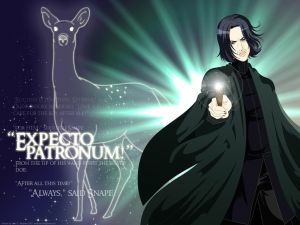 June | 2010 | Expecto Patronum! A few weeks ago, I wrote in “Sudden Sinister Snape” about Harry’s suspicions passing themselves off as facts. Well, Harry kicks his Snapespicions into high gear after meeting Voldemort in the Forest. The bits of conversation recounted above occur just after Harry gets back to Gryffindor Tower. Harry, of course, is wrong about everything – wrong about Snape wanting to get rich, wrong about Snape wanting the Stone for Voldemort, wrong about Snape wanting to steal the Stone. But at least Harry’s wrongness gets him into action, and that action will ultimately prevent the right suspect from stealing the Stone. Oddly, JKR does not indicate that the note is written in the same thin hand as the note that originally came with the Cloak. But since the text uses the same script font for the note, we should infer that it does. And this means that Dumbledore has given Harry the Cloak for the second time. Remember the significance of Dumbledore returning the Cloak to its rightful owner? Now, raise that significance to the next power of 10 and you can catch the significance of Dumbledore’s returning it once again. This is a man who, at this point in the tale, truly has given up his Quest of uniting the Hallows. A few seconds later, they were there, outside the third-floor corridor – and the door was already ajar. Well, with that last bit, at least, Harry speaks the truth. He is definitely no match for Snape! But snark aside, there really are bits of truth mixed in with all this fantasy about the Potions Master. Someone did find out how to get past Fluffy. Someone is going to try to steal the Stone that night. Someone did attempt to get Dumbledore out of the way by sending a note purporting to be from the Ministry of Magic. Harry is right about the essentials of what he and the Trio are up against. He’s just wrong regarding his suspect. In other words, his suspicions are right. It’s just his Snapespicions that are all wrong. Okay, comments are open! Have at it! 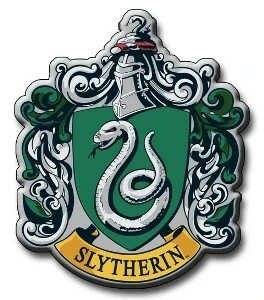 1. Who gives Harry his first detention? 2. What was Harry’s offense? The comments thread is open. I will be awaiting your responses. 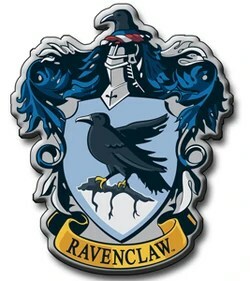 Clearly it was Snape, who woke up that morning, rubbed his hands together in an evil fashion, and cackled that his dastardly plan for the day was to put Potter in Detention because that’s his purpose in life. No, Snape did not put Potter into his first detention. But it’s certainly the right answer for snark! And it’s probably the best answer if you’re just taking a wild guess. Given the number of times Harry ruminates on the possibility of Snape putting him into detention, it’s certainly the answer everybody would expect. But it’s not true. Harry Potter’s first detention did not come from Professor Snape. In fact, so far as I can tell, Harry’s first Snape detention did not occur until well into his 4th year! Professor McGonnagall, in a tartan bathrobe and a hair net, had Malfoy by the ear. However, Harry and Hermione left the Invisibility Cloak behind and got caught by Argus Filch, who took them to McGonnagall. Meanwhile, poor hapless Neville got caught trying to warn them. It was the first time Hermione had ever failed to answer a teacher’s question. She was staring at her slippers, as still as a statue. Okay, so she adds it up all wrong (and poor Neville believes her). But what she doesn’t add up wrong are the points from Gryffindor. This little escapade costs her own House 50 points per each ickle firstie. 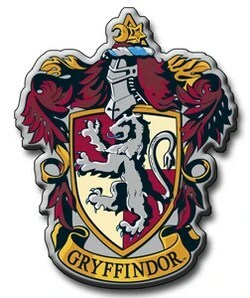 And that’s 150 points total – putting Gryffindor into last place in the House Cup.